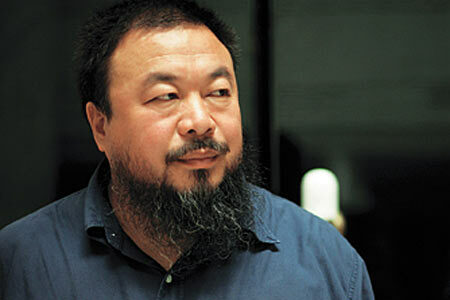 An avant-garde artist, Ai Weiwei did not limit his talent of creating unpredictability to the arts. The 54-year-old bearded artist with a bulky build had lived life just as erratically, constantly kicking up controversies in arts circles as well as in the public sphere. Ai, the son of an influential Chinese modern poet and a prominent Communist revolutionary, became a focus of discussion again after Beijing police on Wednesday said that they are investigating Ai for suspected economic crimes. Though police authorities have not disclosed details, various claims of accusations against Ai surfaced on the Internet within hours of the investigation being announced. The claims, which individuals posted online, accused the artist of dodging income taxes, plagiarizing, and monopolizing funds and resources in the art world, among other things. None of the claims, however, have been independently investigated. In particular, Ai was accused of stealing an art professor's brainchild by flying 1001 ordinary Chinese as "living exhibits" to the 12th Documenta contemporary art show held in the German city of Kassel in 2007. Dubbed "Fairytale", the mass visit cost 3.1 million Euros. Yue Luping, an art professor with the Academy of Fine Arts of Xi'an, the alleged author of the innovation, was too poor to realize his plan. Yet he did not receive credit in Ai's work. "The plagiarism case is widely known among peers, but no one dared to bring it into the open because Ai, with his influence, was considered unchallengeable in art circles," well-known Chinese novelist Wang Shuo said in a previous post on his blog. Ai is not alone in China's scandal-dogged arts scene, as a string of artists have been jailed for managing mafia-style gangs, gambling, and committing drug-related and economic crimes in recent years. Zhang Junyi, a famous lyric writer, received a six-year prison sentence in 2003 for slander and bribery.